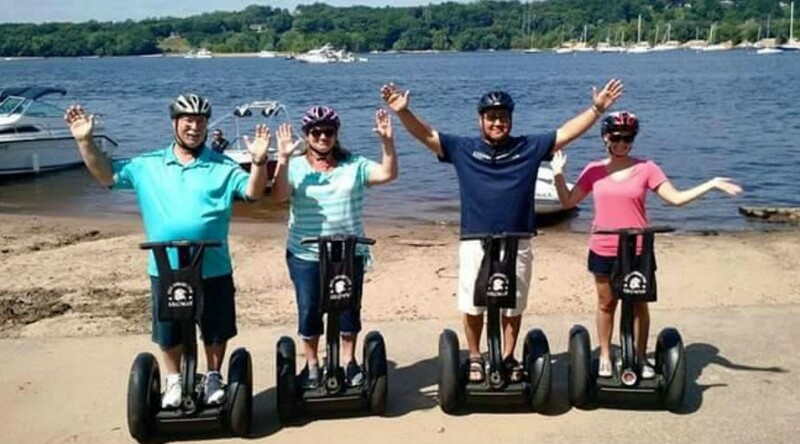 All American Segway, LLC offers several guided Segway Tours as well as Segway Rentals by the hour or by the day. Segways are self-balancing machines and are very easy to use. Advanced Reservations are required! Travel down the brand new Gateway Trail, a beautiful wooded trail from up in the bluffs right to downtown Stillwater. Tour time is approximately 2 hours. Tours start in Brown’s Creek Park, Stillwater. 2 hour tours: Advanced payment and reservations are required. Travel from high in the bluffs to downtown Stillwater and try some local food favorites when you get there. Our staff will share some history about the restaurants as we are sample the food. Tour time is approximately 3 hours. Tours start in Brown’s Creek Park, Stillwater. 3 hour tours: Advanced payment and reservations are required.